Lose yourself in play to find yourself in fitness. Fitness needs to be intense enough to get results, yet enjoyable enough to create a desire to do it. Most people don’t enjoy the traditional approach to fitness. And they never will. That’s where Funtensity comes in. It is the practical application of cutting-edge brain science. 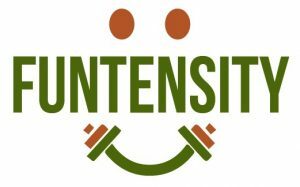 Funtensity teaches you how to transform the emotional experience of exercise forever, making it less like a chore and more fun. Willpower: What it is, why we have it, and how to save it. Register now. Experience all of the above (and get 6 hours of CECs from ACE) for $229. Change the game by making it one. Become a professional of fun.